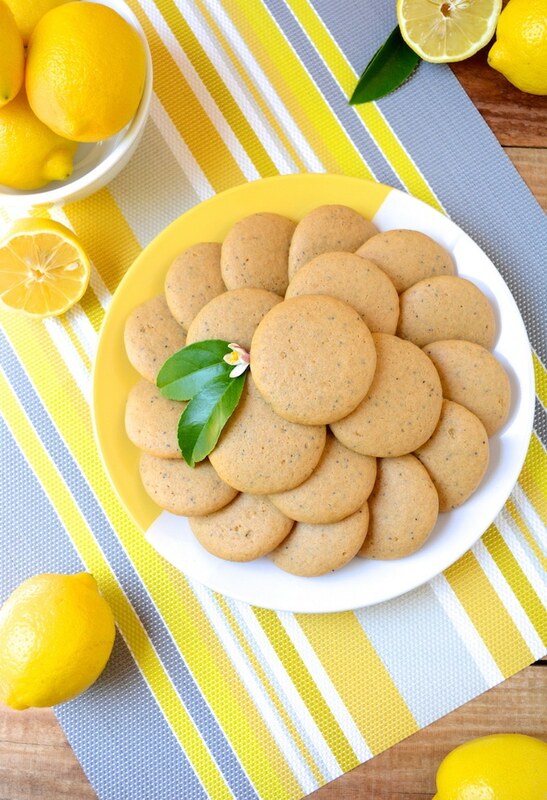 Vegan Lemon Poppy Seed Cookies are a simple recipe that’s bursting with fresh lemon flavor. These melt-in-your-mouth cookies are free of egg, dairy and refined sugar –which makes them a healthier option! Flavored with fresh squeezed lemon juice, these soft and tender cookies are sure to be your new favorite treat! I have a crazy love for lemons and anything lemon scented. 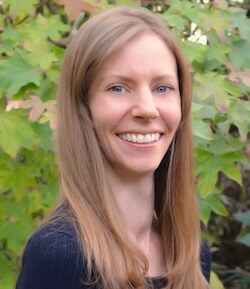 It began when I was pregnant with my daughter. The only thing to keep back my nausea was to breathe in the fresh scent of lemons! As you can see, my love for lemons is serious! 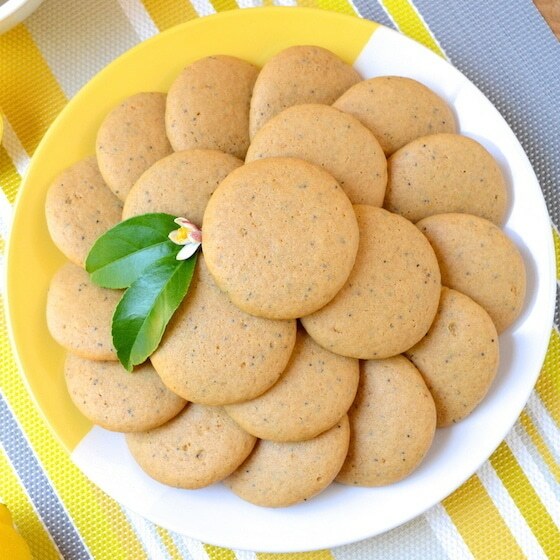 Let’s get back to these addicting Soft, Vegan Lemon Poppy Seed Cookies. I say addicting because in the last week I’ve made 3 batches and not one batch survived more than 36 hours. 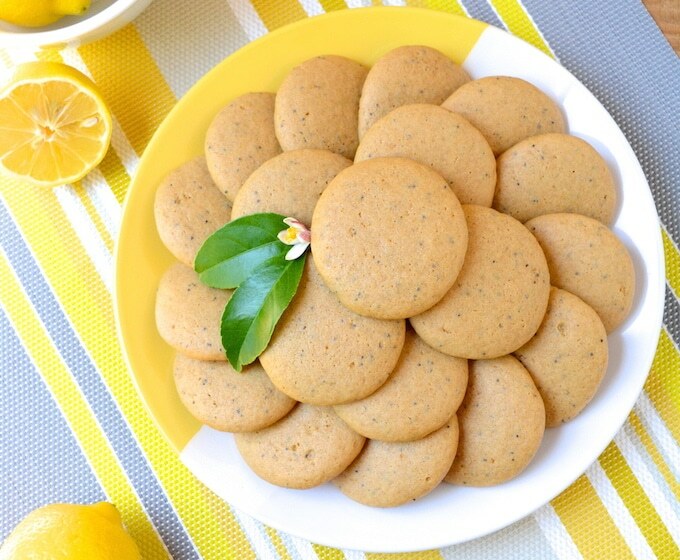 If you’re also fond of all things lemon, you’ll love these cookies! They’re a quick and easy treat to prepare. 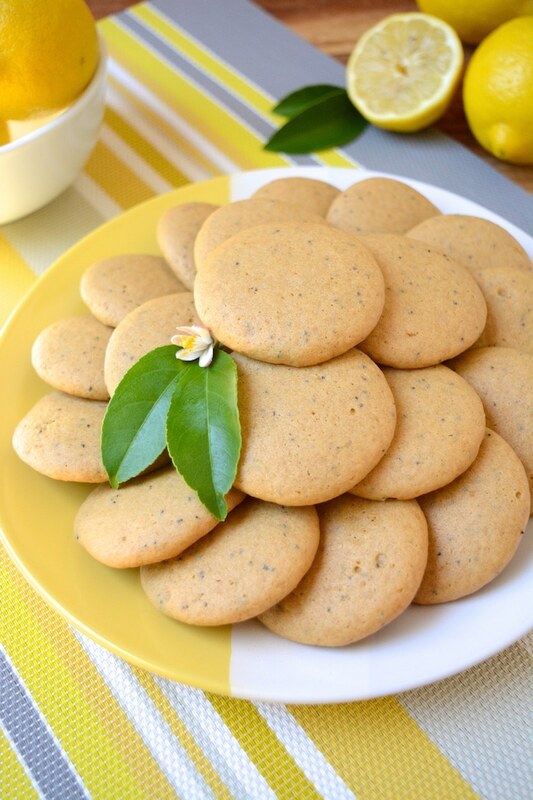 Only a few simple steps between you and the most irresistible lemon cookie! 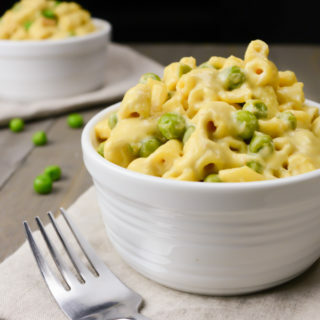 Combine your dry ingredients in a medium bowl. In a large bowl cream the coconut sugar and oil, then whisk in the remaining wet ingredients. Roll the cookie dough into balls, and gently flatten on your pan, then bake. The trick to achieving melt-in-your-mouth lemon poppy seed cookies is to only bake them for 8 minutes. This allows the cookies to bake just enough time to remain soft and tender, without under cooking. They will stay soft and fresh for up to 7 days in an airtight container. 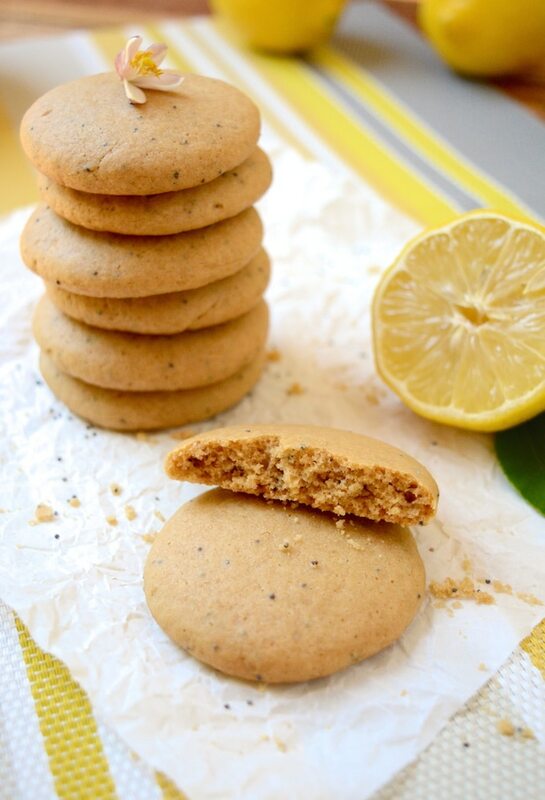 Vegan Lemon Poppy Seed Cookies are soft cookies bursting with fresh lemon flavor! Combine the dry ingredients in a medium bowl: flour, baking soda, baking powder, poppy seeds and salt. In a separate, larger bowl, cream together the sugar and oil. Then mix in the remaining wet ingredients. Pour half of the dry ingredients into the bowl of wet and mix in. Add the remaining dry ingredients and mix until fully combined. The dough should be slightly sticky after mixing. Gently flatten the dough with the palm of your hand, or the bottom of a cup. Cookies should still be slightly thick (a little over 1/4 inch). They will spread a bit and you want to keep a soft center. Bake at 350ºF for 8-10 min. Allow the cookies to cool on the pan for 5 min, then transfer to a wire rack to completely cool. Cookies will stay fresh in an airtight container for up to a week. Coconut Sugar Note: Some coconut sugars leave dark sugar spots in the cookies. To avoid this, blend the coconut sugar in a blender until it becomes a fine-powdered coconut sugar. This will even out the color of the cookies. Measure the sugar after blending. Super yummy! My mom and I love anything lemon poppy seed and these were delicious and super easy to make. I'll definitely be making them again. Will these work well with almond flour? I just made these as instructed (minus the poppy seeds, which I was out of). I served them to my family with tea and they are all gone! 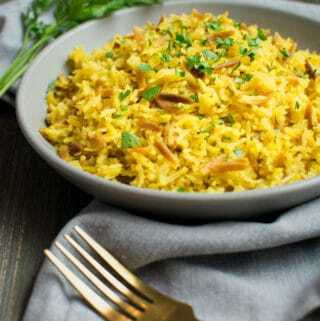 Very soft and lemony, perfect with green tea. However, my dough was crumbly and I added a few tablespoons cashew milk (ran out of lemon juice) so the dough was workable. Also I baked for 11 minutes. Maybe it's my mile-high altitude and dry climate. I would make them again, and probably will tomorrow. Yum! These were easy and came out delicious.! My batch isn't going to last 36 hours either. You mention salt in the body of the recipe, but I didn't see an amount in the ingredient list. I guessed and added 1/2 a teaspoon and it worked fine :) Found your site from Sam Turnbull's (It Doesn't Taste Like Chicken) posting about Easter recipes. Excited to try some of your other recipes! Thank you for pointing that out, Ivy. It’s actually an error in the instructions. I normally make the cookies without the salt, but next time I’ll have to try them with 1/2 teaspoon salt. 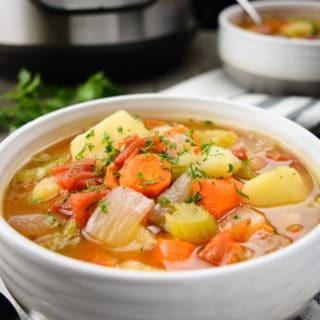 Who knows, maybe the recipe needs an update! Either way I’m glad you enjoyed them! :) PS I love Sam’s blog! One of my new favorite recipes of hers are the baked apple fritters. YUM!